Samsung Galaxy S8 VS Galaxy S7 VS Galaxy S6: Which One Is Better? Samsung Galaxy S8 is rumored to be unveiled on March 29, a triumph card to get Samsung's phone business back on track. Rumor has it that the new Samsung Galaxy S8 will shot a new AI assistant, dual-lens camera, upgraded screen, no physical home button and a rear-mounted fingerprint scanner, and go to be powered by a Snapdragon 830. Such a powerful phone so far, compared with iPhone 8. This however puts users in a dilemma: to buy Samsung Galaxy S7 or wait for Galaxy S8? Can we rely on rumors to put together an early expectation - Samsung Galaxy S8 will succeed S7 ? What are the differences between Samsung Galaxy S7 and S8? Check the Samsung Galaxy S8 vs Galaxy S7 review. Backup & rip copy prptected DVD movies to MP4 and any formats for Android Samsung Galaxy S8/7/6, iPhone, iPad and others. One-click download, record, convert and edit videos (4k included) to Samsung Galaxy S8 and S7 with ease. Backup, manage and transfer data to Samsung, iPhone and iPad, incl. video, music, photo, ringtone, voice memos, books, etc. 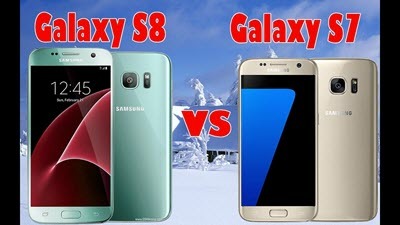 In our early expectation to compare Samsung Galaxy S8 and Samsung Galaxy S7, several aspects we expect most in this internal battle of Samsung galaxy S8 VS S7 are covered, including of course the basic specs as well as some finer details. 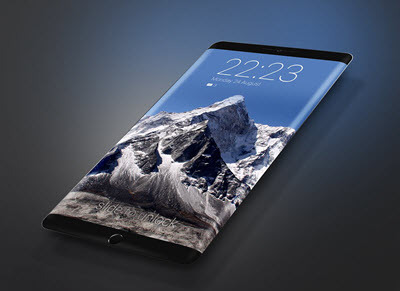 Samsung Galaxy S8 is said to have a very slim bezel, a home button built into the display and a dedicated personal assistant side-button. Samsung Galaxy S8 is similar to S7 when it comes to the dimensions, the latter of which measures 142.4 x 69.6 x 7.9mm. Besides there is no physical home button, there will be a fingerprint sensor on the rear of the device near the camera lens. Headphone jack is to be ditched from the new Galaxy S8, similar to iPhone 7 and Plus. What's more, Samsung Galaxy S8 will provide a superior VR experience. Galaxy S8 is expected to have a large display up to 5.8 inch, 0.7 inch larger than Galaxy S7. It will feature a higher resolution, sticking with the super AMOLED tech that means a brilliant display, be it is curved or flat. Resolution is said to be increased from S7's 2K to 4K on Samsung Galaxy S8 for better VR encounters. This will give a big bump in pixel density and also a huge enhancement for VR. Samsung Galaxy A7 has a 5.5-inch (about the same size as the Galaxy Note 2 and iPhone 6 Plus) 1080 x 1920 Super AMOLED display with a pixel density of 401 pixels per inch. 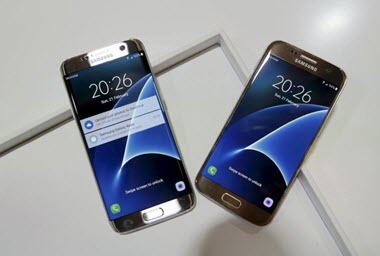 A screen between 5 and 5.5 inches is suggested to come with Samsung Galaxy S6. The screen is also rumored to carry Samsung's favorite Super AMOLED display technology. The display though is coming in three sides: the front, left and right. The resolution will likely get a boost too, as Galaxy Note 4 pairs with a 2560 x 1440 display, Galaxy S6 is expected to have a not-lower resolution. With the Super AMOLED technology used, both smartphones will ensure a vibrant and sharp screen. However, in the fight of Samsung Galaxy A7 VS S6, Samsung Galaxy is likely to deliver a more crisp display with a higher pixel density. The Samsung Galaxy S8 is reported to have a dual rear camera featuring a 12-megapixel sensor and higher resolution front camera with autofocus thereupon, featuring a 13-megapixel sensor. While Compared with Samsung Galaxy S8, Galaxy S7 has a 12-megapixel rear camera with an aperture of f/1.7, phase detection autofocus and optical image stabilization. If this is true, S8 will has a better performance than S7. Besides, an 8-megapixel sensor is to be reported on the front camera of Galaxy S8 while S7 has a 50mengapixel snapper on the front. As one of the hit brought by Galaxy S5 is its camera, which delivers premium quality pictures with 16-megapixel rear sensor, we can see a bump up in the megapixels carried by Galaxy S6 featuring a 20MP rear camera. 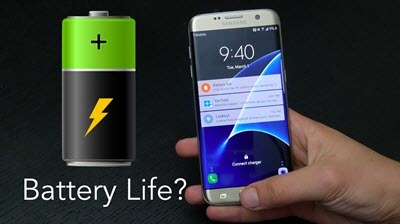 A 4200mAh battery is to be featured on Samsung Galaxy S8. But more likely the same as Samsung Galaxy S7, S8 will possibly have the same a 3000mAh capacity thereon. When it comes to the processor and chip, Galaxy S8 is likely to ship with Qualcomm Snapdragon 835 and Exynos 8895. This is a leap from previous Samsung Galaxy S7, featuring the Qualcomm Snapdragon 820 chip or the Exynos 8890 processor under the hood. RAM and Storage options vary from 4GB, 6GB, 8GB to 64GB and 128GB on Galaxy S8 while Galaxy S7 has storage option in the format of 32GB and 64GB with microSD support. Now you may have a rough understanding about Samsung Galaxy S8 and Galaxy S7. 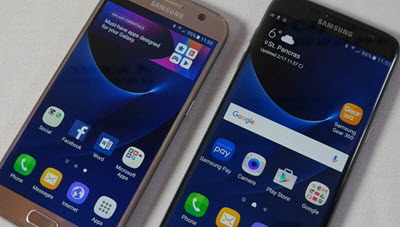 Both the two Samsung Galaxy phones are very similar in many ways, with the same display, similar software and similar size, meanwhile they vary distinctly in many aspects, including the design, resolution, battery etc. If you just fancy a big-screen phone with relatively advanced features, then the Galaxy S7 does fit this category; if you prefer a more superior Samsung Galaxy phone, then you'd better wait for S8. Whichever you choose in this Samsung Galaxy comparison, you will notice one thing: both Galaxy S8 and Galaxy S7 are well suited for playing movies and videos. However, you may meet with difficulties when playing some files due to improper Samsung Galaxy video formats. After compare Samsung Galaxy phones, we also give you the comprehensive solution to play movies and videos on Samsung Galaxy phones.